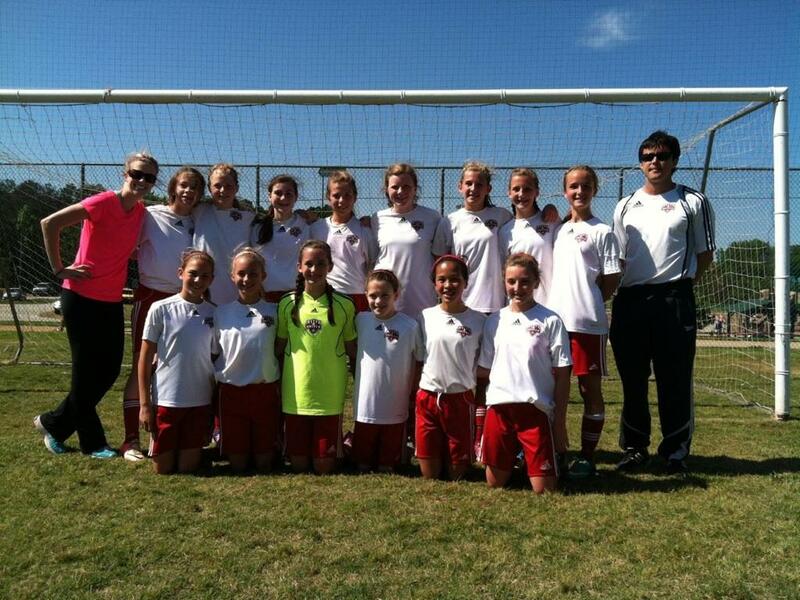 Our U12 girls Red team were crowned champions at this year’s Academy Cup! The girls participated on the 11v11 Morgan division. After an irregular first game where the girls lost to NASA Miller 1-0, the team was able to recuperate, shake up the loss and their nerves, and start winning as usual. The nest two games were wins against InterAtlanta FC Wambach (1-0), and GA Rush Blue (4-0). These 2 wins allowed the girls to finished first on the bracket and move on to the finals. On their final match, the girls faced a familiar team when they had to play against NASA Miller again. But, this time around, the girls put together a great performance to defeat them 2-0, and lift the champion’s trophy. 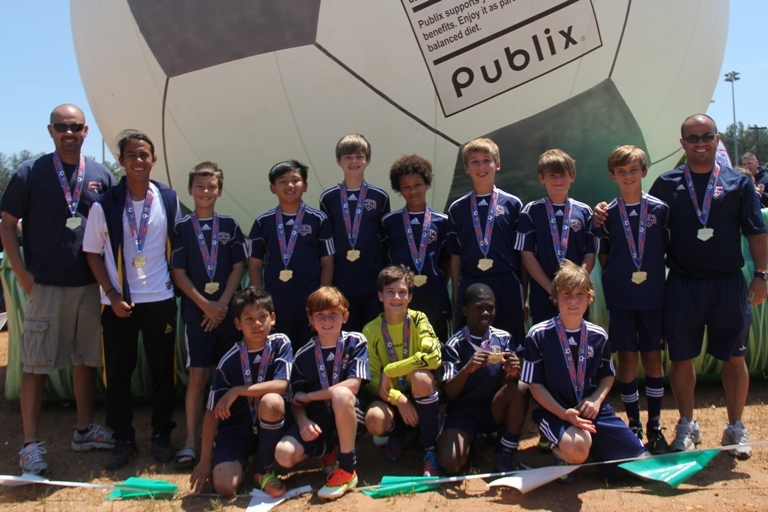 Our U12 boys trained hard all season preparing themselves for Academy Cup, and it truly paid off for them. They showed up ready to conquer this tournament, and they did it with no hesitation. Playing 8v8 on the Howard division, they finished at the top of their bracket after winning all 3 stage group games by the scores of 2-1, 7-1, and 4-1. On the final match, they found themselves facing a very tough opponent on DSC Green. The game was tied 2-2 until the last minutes of the match, when our team was able to put one more on the scoreboard to win the game 3-2 and start the much deserved celebration time.